Dr Matt Kemsley has over ten years’ experience working as a clinical psychologist within the NHS. Until very recently Matt was the clinical lead and principal psychologist of a large Primary Care Mental Health Service in Greater Manchester. Integral to this role was a commitment to ensure that the clinical experience provided to all clients was of the highest quality. In addition to his role with Harley Therapy, Matt continues to work in a community mental health team in the NHS and is registered with the HCPC. 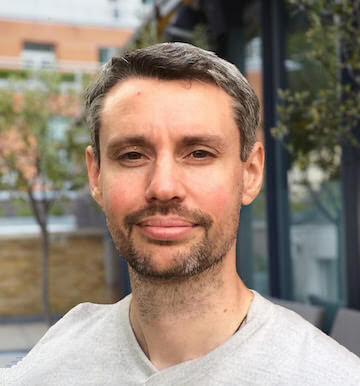 Matt is trained in a number of therapeutic models including cognitive behavioural therapy, solution focused therapy and psychodynamic psychotherapy and can apply these to individual work with adults or adolescents as well as with couples. He has specialist training in cognitive analytic therapy and is able to integrate and apply approaches and techniques within this framework to best meet your needs and goals. This includes working within both brief and longer-term time frames as well as through mediums such as Skype or telephone, where appropriate. Fundamental to Matt's work is the creation of a safe and trusting space in which he offers the opportunity to enhance levels of self-awareness and explore the patterns of coping being used to address the challenges faced. Throughout his career Matt has gained a wealth of experience working with a range of presenting problems including, amongst others, interpersonal and relational difficulties, anxiety, early trauma, psychosis, OCD, depression, anger, stress, psychosexual issues, learning difficulties, bipolar disorder, PTSD, personality disorder, addiction. Matt is a recognised health insurance provider with Aviva and Cigna. Therapists have a minimum of 7 years experience, are accredited and insured to practice privately. Therapists have met rigorous selection criteria and are vetted to ensure you receive the best support. Not satisfied with your first consultation? Try a meeting with another therapist free of charge.